Notes: Today was the last of my 40@40 events! I went with friend Glynis for a lovely seafood lunch at the local Loch Fyne restaurant in Chelmsford. It’s been there a while, I gather, but I only just discovered it a few weeks ago. 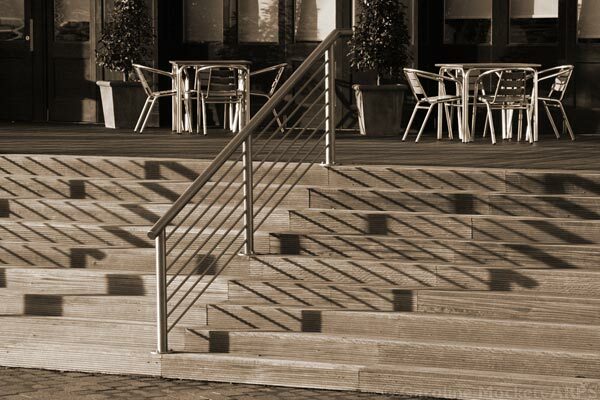 The sun was out and although it was too cold to sit outside, I enjoyed the shadows on the steps, so this is my image for the day.